Once each year in June, our group will play for the Sunday Roller Hockey Cup. The teams for the night will be chosen in advance, as usual. However, the Championship Series captains will be the two players with the best overall scores for the season in Game +/-. If one or both of those players cannot play in the Championship Series, then the next best player(s) will take their spot as captain. The player with the best +/- will pick first and select one player. The second place player in +/- will get the next two picks. Each person will then pick two players at a time until the process is finished. Goalies for the night will not switch teams between games. 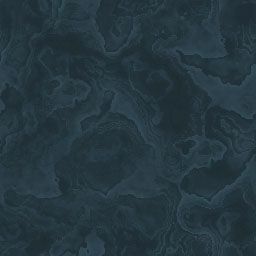 Instead, they will be a part of the player pool from which the captains will be choosing. Obviously, once a captain selects a goalie they cannot select the other goalie. This means that the other captain can wait to select their goalie until their last pick. The player with the best +/- can elect to allow the player with the second best +/- to make the first selection and therefore make the next two selections for themself. Whichever captain makes the first selection will be the captain of the white team, with the team making the second and third selections wearing dark colored jerseys. Game Number One: Regular forty minute game. Each team will defend the goal closest to their bench. Game Number Two: Regular forty minute game. Each team will defend the goal furthest from their bench. Game Number Three: Ten minute mini-game. Each team will defend the goal closest to their bench. This game is NOT sudden death. Shoot Outs: Any game ending in a tie will be decided by an NHL style shoot out with three players shooting per side. The shoot out works exactly the same as an NHL shoot out in that if the score is tied after each team has attempted three shots, the teams will alternate shots in a sudden death format and must use every skater on their bench before the first shooter can make another attempt. In any shoot out the white team may elect to shoot first or second. Each team's captain must set their shoot out orders immediately after the conclusion of regulation play. It is their responsibility to make sure that the score keeper has the correct information and to inform the referee that their team is ready to begin. During the shoot out, only the two goalies, the one active shooter, and the referee (or Jason Miller in the event we do not have a referee) are allowed to be on the playing surface. All other players must remain completely inside their bench. The last minute of one goal games goes to a stop time format. Each team is allowed one sixty second time out per game. All players that win the championship will be credited with one bonus night played on the call list. I will need you to give me your vote for the Conn Artist Trophy as the MVP of the series via e-mail or text message as soon as possible after the series. Please send your choice for the Conn Artist Trophy to jasonmillersrh@charter.net. Please give me your top three choices in order. 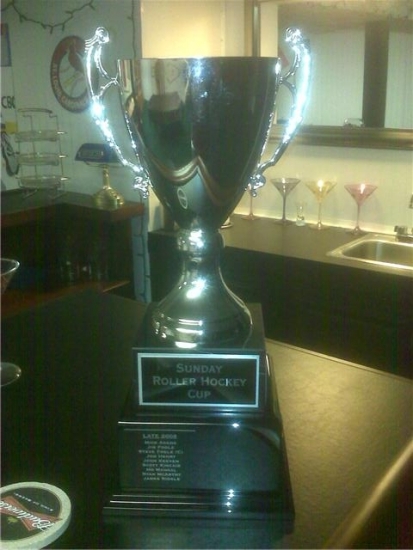 We will have the winning team take a picture with the Sunday Roller Hockey Cup immediately following the series. The referee will deserve nothing but respect. Do not treat the referee or anyone else on the rink poorly. If you cannot handle this, please do not play. Yes, it could be a late night! If at all possible, take a nap before coming to play! The regular call list is not used for the SRH Championship Series. Instead the call order will be determined by raw games played during the recently completed season. First, I will determine who the goalies will be based on goalie games played during the recently completed season. In the case of a tie, the goalie who is highest on the regular call list will win out. The goalies who didn't make the cut will have their goalie games played applied to their total skater games played. The top 16 skaters in terms of games (not nights) played in the recently completed season will play in the Sunday Roller Hockey Championship Series. In the case of a tie, the skater who is highest on the regular call list will win out. There will be no random player drawing for the Sunday Roller Hockey Championship Series. Please go here to see all the past championship teams. *Please note that championship box scores beginning with the Late 2008 season are found with the rest of the box scores under the "All Statistics" link to the left. Just go to the last box score for the appropriate season. The Dark Team shot first in the shoot out. The White Team shot second in the shoot out.